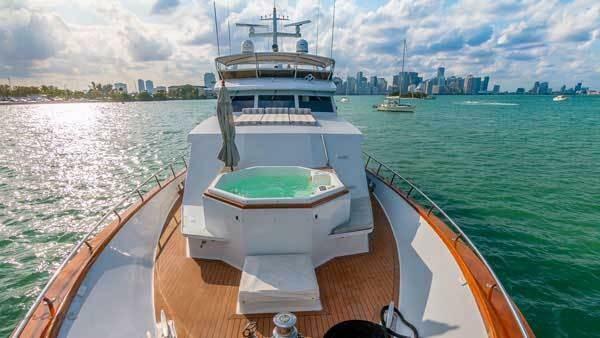 1998 Broward Raised Pilothouse Motoryacht Trilogy is veteran of the charter community and the perfect starter yacht for anyone making the jump from smaller motor boat to larger yacht, or someone looking to get into the charter business. She was recently painted, with her bottom done, her bright work, the entire hull, and props. She is as glossy as the day she was commissioned. The interior has already been updated and the boat even has electronic controls, which very Broward have had the luxury of changing. Her engines/generators have been maintained (at no expense) by RPM Diesel, who has the reputation for being one of the better and more expensive shops around and do excellent work. If you are looking for a working boat, here you go. She has a well proven and documented charter history. 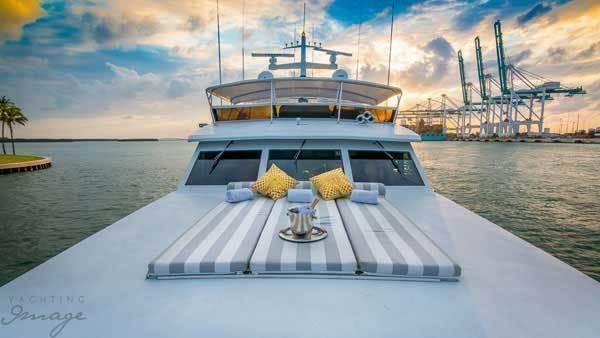 With her paddle boards, jacuzzi (that works perfectly and professionally maintained), her modernized interior and professional kitchen, she is ready for day charters or term charters. 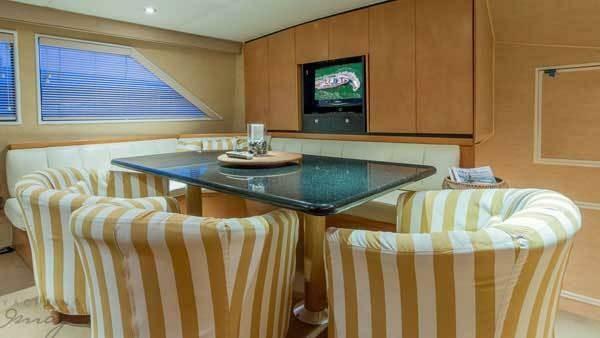 Owner spent nearly $400k on upgrades, paint, and maintenance to make sure there was very little to do for the next owner, while providing an excellent charter boat for his clients.